This book examines the struggle against racial and cultural inequity in educational systems, presenting the case study of a New Zealand school and its community s determination to resist alienating environments. If we look at an untouched child s coloring book, for instance, we think of the pages as blank. But they re not actually blank each page is uniformly white, with lines established to dictate where color is allowed to go. Children by this are taught about the place of color and the importance of staying within pre-determined boundaries and expectations, reinforcing a system where the white background is considered the norm. 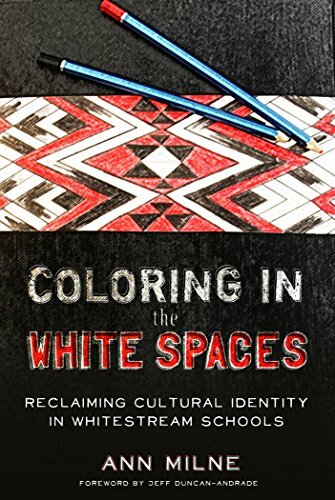 To challenge such whitestreaming, this book offers the example of a community that defied and rejected this environment in favor of a culturally-located, bilingual learning model of education based on secure cultural identity, stable positive relationships, and aroha (authentic caring and love). This journey is juxtaposed against pervasive deficit-driven, whitestream explanations of inequity and purported -achievement gaps- of indigenous Maori and Pasifika students. This story chronicles the efforts of the Kia Aroha College community on its quest to step outside education s -White spaces- to create a new space for learning and to reclaim educational sovereignty where individuals have the absolute right to -be Maori, - to be who they are, in school. Excerpt from the Endorsement by: Professor Arnetha F. Ball, Stanford University Graduate School of Education.